Yesterday we came back from a research trip to Rozhniativ (Рожнятів, pol. Rożniatów, rus. Рожнятов, Rozhniatov), called in Ukrainian official nomenclature “village in type of town”. We’ve been asked to find out whether there is anyone who can still remember the war times and the story of a person called Misko Jagelavitz, who hid Jews in his cottage during the war. The only scrap of information we had came from Ben Zion Horowitz’s testimony published in ספר זכרון לקהילת רוזניאטוב, פרהינסקו, ברושניוב והסביבה (Tel-Aviv 1974) and translated to English thanks to Yizkor Book Project. Misko was very generous. He never refused to do a good deed or to fulfil the request of one of the group of hidden people. He cared for them as a faithful father with great dedication, even if he did not receive money from them. We had been staying in Rozhniativ for several hours asking for the Jagelavitz family before we met Mr. Abramovich, a son of Mahda Yurechko, Jagelavitz’s helper. It turned out that Misko Jagelavitz should be rather called Michał Jagiełłowicz (in Polish) or Mykhailo Jahyllovych (in Ukrainian) and he, together with Ostap Yurechko were recognised as Righteous Among The Nations in 2006. We were not sure, however, where Jagiełłowicz’s cottage stood. Mr. Abramovich suggested to go in the direction of Stara Ves on the southern outskirts of Rozhniativ. In Stara Ves we’ve been redirected north, to the bazaar area. Only in the last house we were going to visit before our departure, not far away from Duba river, we met Ms. Shplak, probably the last eyewitness of Jagiełłowicz’s generosity and bravery. 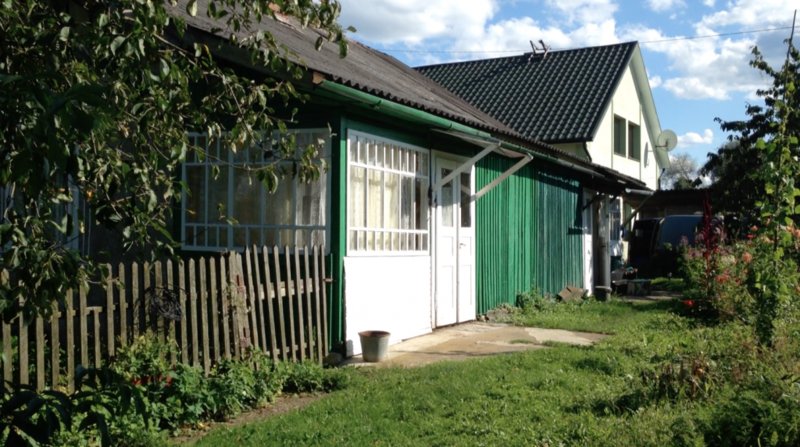 Jagiełłowicz’s home and shelter where he hid Jews during the war is just opposite her house. Soon we’ll come back to Rozhniativ with a film crew from the US to work on a documentary movie on Jagiłłowicz’s story. Michał Jagiełłowicz’s house in Rozhniativ, a shelter for eighteen Jews during the war.